After being in my house for a few days in a row, I was starting to get cabin fever so I decided to change out of my sweats and slippers and into an outfit I'd wear if I were planning to actually leave the house. I found my favorite black long sleeve shirt and my most comfortable jeans and made it into a basic outfit...comfortable enough to wear around the house and definitely suitable enough to leave the house. Hope everyone on the east coast has recovered from the hurricane! Cute!! 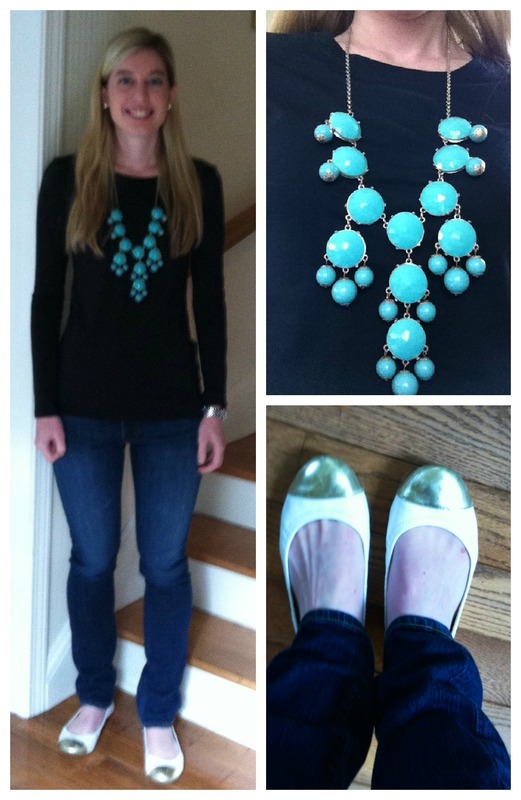 Love the necklace and shoes! aww... hope you all is well after sandy? thanks so much! my office has power again so things are back to normal! Love your outfit! This would be so easy to wear for a lunch date or something similar. Stylish, but still comfortable! !